I had a startling realization a few years ago: I discovered that not everyone thinks science is good for humanity. How can that be? Scientific discovery makes our lives better, richer, longer, and healthier. The end of World War II not only showed us that science could deliver us from evil; it was also recognized as the deliverer of evil. In the mind of the public, the giant, faceless machine of science had created the atomic bomb. Science, particularly chemistry, gave us chemical weapons (Napalm, Agent Orange), pollution (dioxins, PCBs, chlorofluorocarbons), pesticides and herbicides that caused animal mortality, pharmaceuticals that caused birth defects, and well-intentioned products (breast implants, vaccines) that were claimed to cause diseases. Science wasn't necessarily the savior anymore. Its reputation was tarnished. Most of what the public consumes regarding science comes from the media and cultural filters. Chemistry suffers badly from this filtration process. Once upon a time, the chemical-producing DuPont Company used the advertising slogan, "Better Things for Better Living…Through Chemistry." They ditched that in 1982. Another one of America's iconic companies, Dow, has dropped the word “Chemicals” from its name. Does that mean these companies don’t make chemicals? No. It means the idea about chemicals and chemistry has radically shifted and these companies have had to adjust their image to accommodate this shift. Various events, well covered in the media, helped cement the association of chemicals with toxins and pollution. Through the 1970s, there were explosions and fatal spills at chemical plants. In Japan, the long-term release of unsafe levels of industrial pollutants into the water where the locals obtained food revealed the horrendous effects of mercury poisoning. The world’s worst chemical disaster was the 1984 chemical leak at a Union Carbide pesticide plant in Bhopal, India where hundreds of thousands of villagers around the plant were exposed to the noxious gas while they slept. Approximately 3,000 died in the accident, plus thousands more who later died from gas-related diseases. Love Canal gave the American public iconic imagery of leaking barrels of chemical waste, pools of chemicals where kids played, and high rates of birth defects. 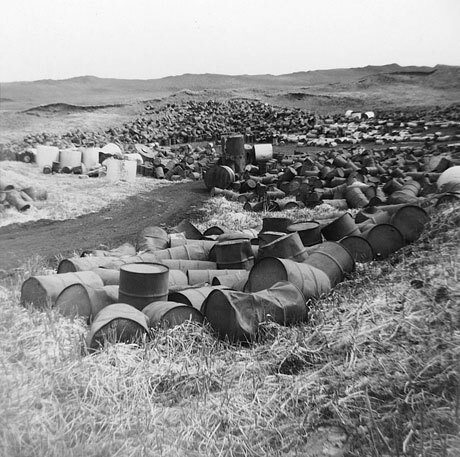 The Valley of the Drums in Kentucky also helped ensure that people were left with little respect for or trust in chemicals and the industry that produced them. Mothers don't want chemicals in their kids' foods. It's environmentally unfriendly to use chemicals on your lawn or garden. You are encouraged to “go green” and use chemical-free products around the house and on yourself. The truth is: you cannot go chemical-free. 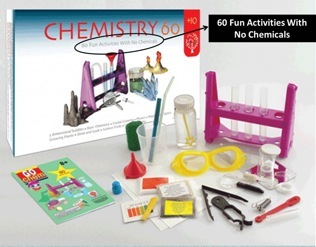 The best description of chemical is matter resulting from a reaction of atoms and molecules. Anything made of matter is a chemical. Water is a chemical. That fact makes the idea living of chemical-free ludicrous. Writer Deborah Blum found a reference to “chemical-free water” on the completely unscientific website Natural News. In “Chemical Free Nonsense” she notes all the various products marketed as “chemical-free”. Marketers take advantage of the poisoned meaning of the word chemical to tout their products as being safe, healthy, and chemical-free. It’s another gimmick. In 2008 in the U.K., a Miracle Gro compost product was labeled “100% chemical free.” That's not truthful, according to the scientific definition of chemical. Yet the advertising authority decided that most people interpret chemical-free as synonymous with “organic” and okayed the use of the term “chemical-free.” Organic products are not only made with and contain chemicals but can be produced with natural pesticides (also chemicals). Natural or synthetic, you can't be free from chemicals. It's ridiculous to use the term “chemical-free”. In fact, to illustrate the silliness of the term, Britain's Royal Society of Chemistry offered a Million Pound Challenge to anyone who can produce a 100% chemical-free material. So far, no one has claimed this prize. “..[H]ave chemistry in them?” What does that even mean? He went on to say that modern humanity and “emerging humanity” need chemistry. Sadly, the atomic theory of matter has gone over even his head. The website “Go Chemical Free” advocates for a chemical-free lifestyle, claiming that steering clear of toxic industrial chemicals can eliminate many disorders such as symptoms of Aspergers, ADHD, eczema, and more. They also claim chemical-free living results in an improvement of autism symptoms. Their evidence? Testimonials. That’s all. The chemical-free marketing ploy is intertwined with the naturalistic fallacy, or appeal to nature, where natural is better. “All natural” sounds very positive (as opposed to synthetic or artificial). But that is a fallacy. There are plenty of synthetic products that are perfectly safe and effective and are better than their natural versions. Besides, it’s not hard to find several examples where natural does not mean good. Chemical-free advocates tell us that the world is a toxic, hazardous place. History tells us the opposite. Environmental laws weren't always in place. Gone are the days when industries freely belched chemicals into the sky or discharged them in waste water. We get much less exposure to lead paint or pipes, mercury thermometers, or PCB-filled electrical transformers. Hazardous pesticides and insecticides were removed from production. I don't intend to downplay the very real scenarios of chemical waste dumps and leaking underground tanks that contaminate our water and soils today but it's a far cry from when farmers were allowed to apply lead arsenate to apple orchards. Yeah, those were some good old days. In the 1950s, allergist Dr. Theron G. Randolph introduced the idea of chemical sensitivity. He thought that humans were not adapting to modern man-made chemicals and experiencing physical symptoms. The concept had a number of names. Today, this collection of non-specific symptoms is known as MCS, multiple chemical sensitivity. Spinoffs of MCS are Gulf War syndrome, sick building syndrome, toxic carpet syndrome, and people who say they are allergic to almost everything (including water). Diagnoses of such syndromes are problematic. So far no basis for MCS has been found except psychological. A majority of the public may perceive chemicals—with names they can't pronounce, produced in big factories or delivered in barrels—as hazardous. However, rejection of products or treatments because of the misunderstanding about chemicals is a more serious problem. The more I thought about the fear of chemicals (“chemophobia”), I saw this disconnect from science fueling the controversies about issues like water fluoridation and fracking. Anti-vaccination groups who despise the preservatives or other chemicals in vaccines that help them work spread misinformation that results in the resurgence of communicable (and preventable) diseases. Cancer patients forgo chemotherapy as treatment, resorting to unproven, implausible alternatives. Chemophobia can kill. Stretched to its limit, chemophobia is absurd. There is a famous hoax and Penn & Teller BULLSH*T segment regarding the banning of “dihydrogen monoxide” as a dangerous substance. It was supposed to be humor. Let's just say, not everyone got the joke. (Dihydrogen monoxide is H₂O or water.) Sensational presentations (and emotional ploys) can completely blind you to rationality. It's not possible to stop the common cultural meaning of chemical from evolving based on events and perceptions. Education may help but countering misinformation is an uphill battle. The connection between chemicals and evil stuff is held fast by a lack of trust in the industries that produce chemicals and people's fears of disaster. Purchasing a chemical-free product provides a sense of control for those who choose it over other products. They may feel that they are doing something good that does not contribute to unhealthy consequences or pollution. Choosing to live chemical-free is integrated into the person's/family's identity. Those are very difficult motivations to overcome. The answer may be simple attention to absurdities. Chemicals are everywhere and in everything. If you have a chance to do this, try it. 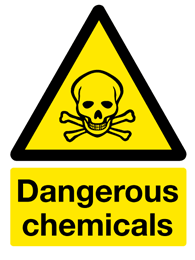 Let manufacturers know that a chemical-free label is inaccurate. Question businesses on their chemical-free claims. Ask that they be more specific about what these products and services are actually “free” of. Tell your organic, chemical-free pal to put down that coffee (Yikes! Coffee contains scads of chemicals like caffeine, organic acids, and water) as an example of why not to buy into the chemical-free absurdity.